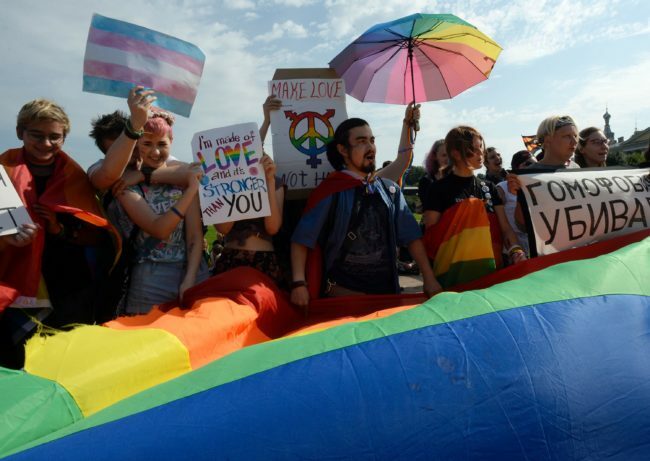 LGBT activists in Russia held the biggest Pride celebration in St. Petersburg yet despite facing off with police and far-right protesters. 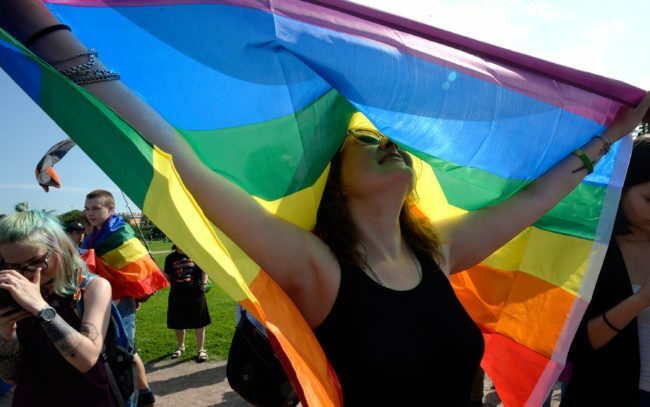 An estimated 100 people turned out for the eighth annual LGBT Pride in St. Petersburg’s Field of Mars yesterday. 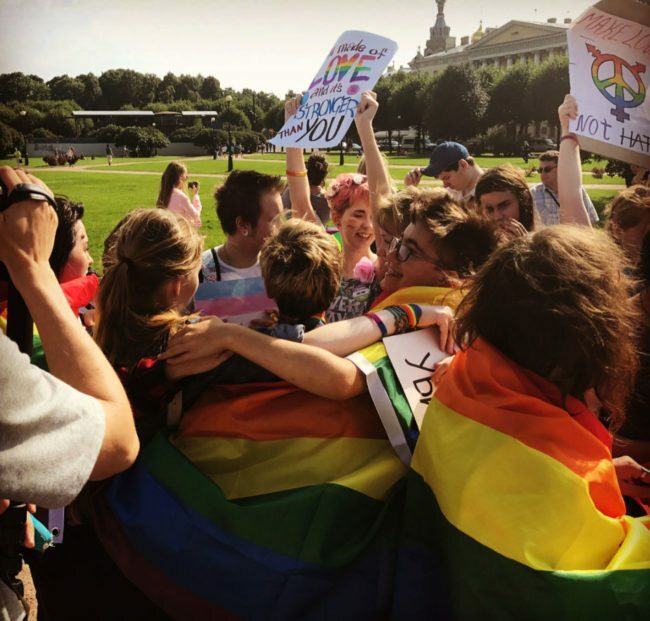 Riot police watched closely as the group, which is believed to be the biggest turnout since 2010, waved rainbow flags and signs. 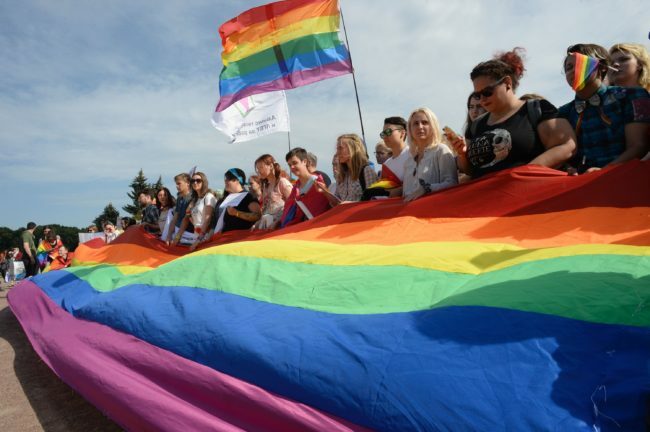 Sveta, a lesbian activist said that “everyone has their own reason to come to the Pride”. “Many of my friends didn’t come because they were afraid to be discriminated at work, to lose their job or get expelled from university”. 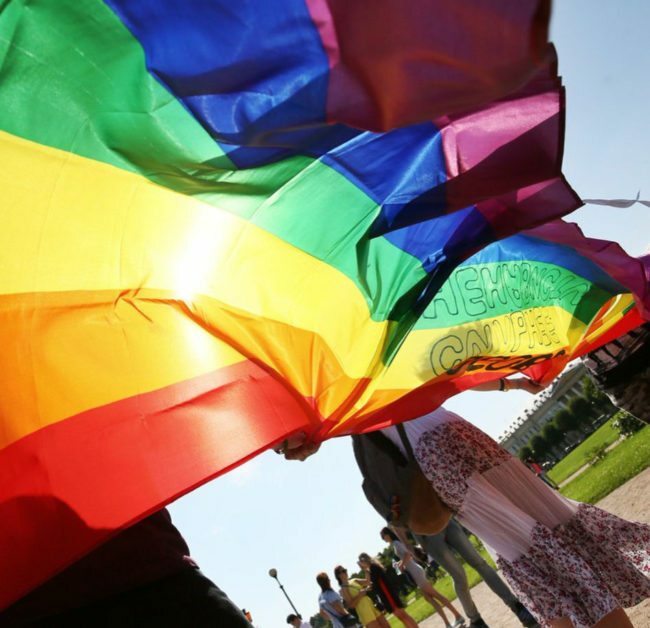 Holding Pride celebrations in Russia is increasingly difficult since the introduction of the “gay propaganda law” in 2013. The controversial law, which has been condemned by the European Court of Human Rights, can carry a fine of up to 500,000 rubles ($8,000 USD). The Pride was nearly blocked from going ahead as it is limited to being held in “free speech zones”, such as the Field of Mars. However, a policy dictates that free-speech zones can only allow one event to take place at any one day. 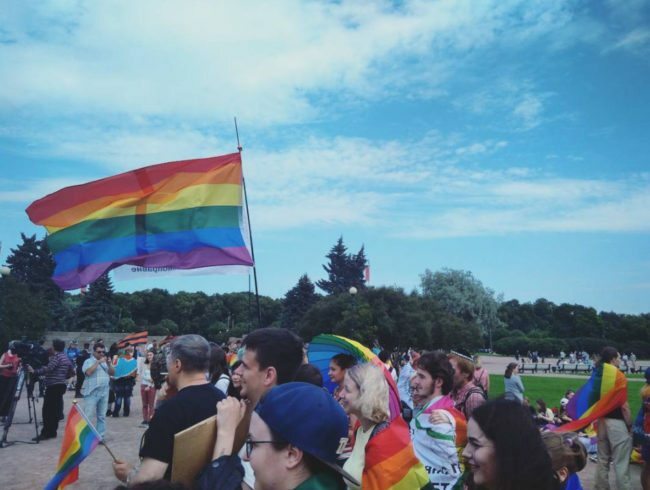 An event in remembrance of WW2 was held the same day, meaning that the Pride event was rejected. However, only five people attended the event and protested Pride goers for the duration. 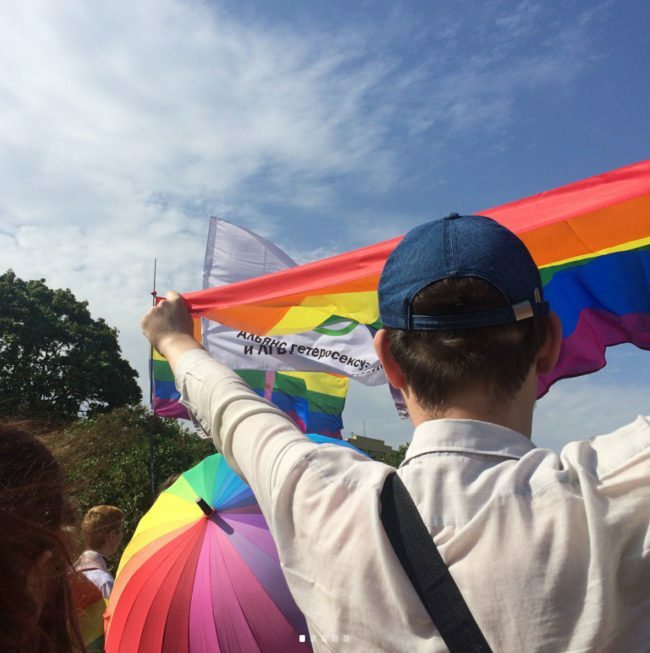 Here are some of our favourite images from St. Petersburg Pride.